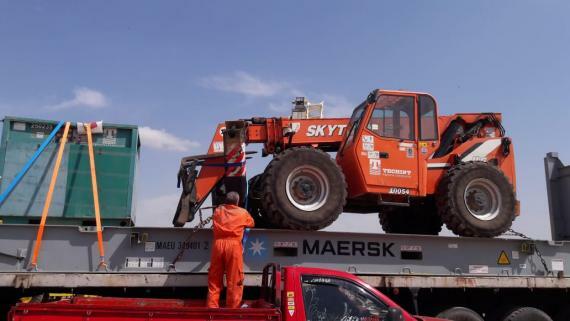 First Global Logistics is continuing to find success with OOG cargo by handling a full door-to-port shipment of cranes from Egypt to Buenos Aires, using their contracts with the two largest container carriers MAERSK & CMA for the shipments. 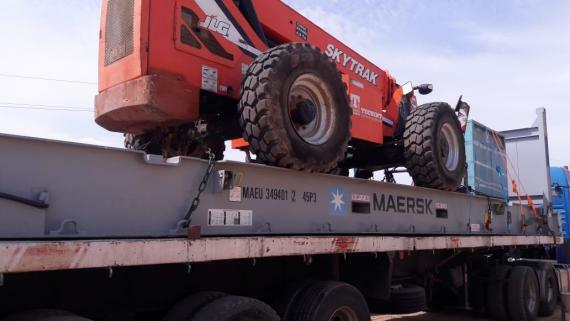 The first shipment features a Skytrak Telehandler (610-275-285 cm / 12,500 kg) & Electro-compressor (320-250-200 cm / 2500 kg) and the second contains a Kato Crane (800-260-300 cm / 15,000 kg). 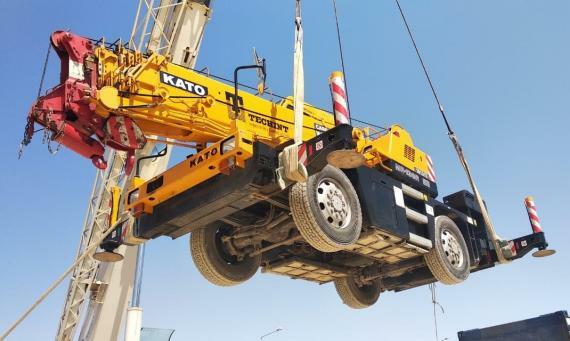 "This shipment was secured thanks to our meeting with Mr Kollatt Muhajiz at PCN's last Annual Summit by procuring a special contract between CMA & First Global for their OOG movements with CMA-CGM."